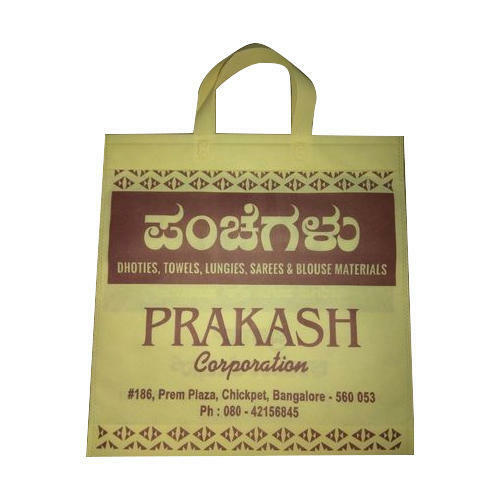 Since our establishment, we, Vinayak Enterprise, are acknowledged in the industry as one of the prominent organizations, which is engaged in manufacturing and supplying a commendable range of Jute Bag, Nonwoven Bag and Shopping Bag. The range offered by us includes Brown Jute Bag, Designer Jute Bag, Designer Nonwoven Bag, Fancy Nonwoven Bag and Printed Nonwoven Bag. Our offered range is designed and developed with the aid of modern machines and techniques to leave no scope for defects. Owing to our transportation facilities, we have been able to dispatch the offered range in committed time-period.